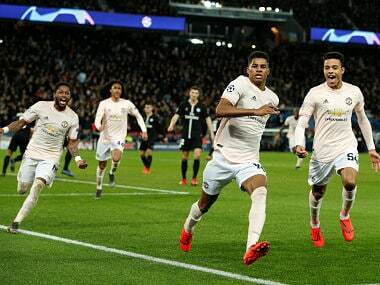 London: England manager Gareth Southgate says he has seen glimpses of former national-team heroes Wayne Rooney and Michael Owen in Manchester United teenager Marcus Rashford. Rashford, 19, scored one goal and made another as England came from behind to beat Slovakia 2-1 on Monday, which took them to within touching distance of World Cup qualification. Rooney and Owen scored 53 and 40 goals for England respectively after bursting onto the scene as teenagers and Southgate believes Rashford has the requisite maturity to follow in their footsteps. "I am sure he would rather be compared with Rooney and Owen than not," Southgate said. "He is obviously a different type of player. He is as mature as they were in terms of their understanding of the game and the way he picks up concepts. "It is up to him now. He has a great platform to build from. He has a good influence at his club in terms of Jose (Mourinho) to keep him grounded and we will do the same here." 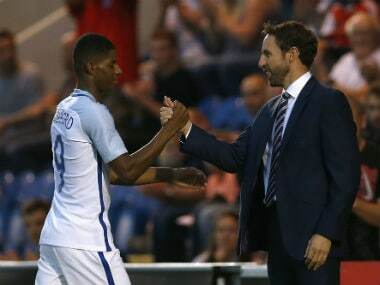 Rashford broke through at United in early 2016 and Southgate praised the club for their role in his development, highlighting the influence of former assistant manager Ryan Giggs. "What has been nice on his pathway is that it is all joined up," Southgate told reporters at Wembley. "We used to speak to Ryan Giggs about which (England age-group) team to put him in because we didn't want to put him in the 21s too early. "We felt the Under-21s would put too much spotlight on him and I think United were grateful for that. But we picked him for the seniors two months later (in May 2016)! "So that plan was out the window. Blimey, you could see the impact he had straight away." 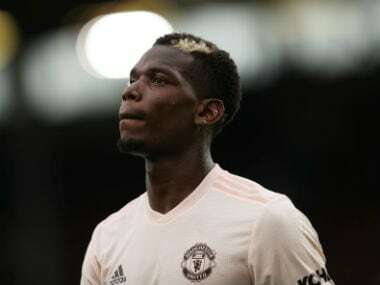 He added: "United prepare their players well, which is why they end up the way they do. "To play in front of 70,000 people every week, they bring them up in a way that you know the kind of player they will be before they walk through the door. "We have had Marcus, Jesse (Lingard), Michael Keane, so there is a certain type they develop because they are given good values." Rashford started on the right against Slovakia, before switching to the left, which is where he tends to play for United, but his future is felt to lie at centre-forward. Southgate says there is no need to tie him to a particular position and used United's fluid 2007-08 forward line of Rooney, Cristiano Ronaldo and Carlos Tevez as an example. "I think he can play there (centre-forward), but you saw what he is capable of here and in Malta on the other wing," said the England manager, whose side are five points clear in their qualifying group. 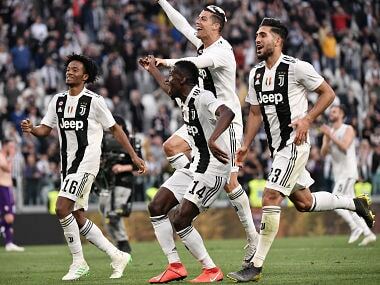 "If you have flexible forwards who can play across the front line -- you think of United's great forward line with Rooney, Tevez and Ronaldo interchanging -- then it is important."